The GCS Praise and Worship Group, comprised of students in grades 6-8 and led by Campus Minister, Mr. Mark Radzin, took their show on the road last week! 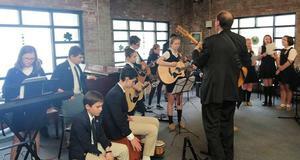 Check out the pictures and video clip. 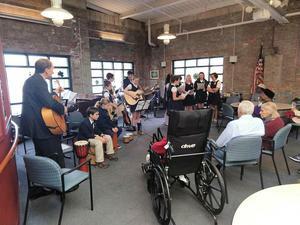 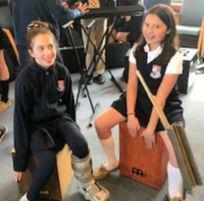 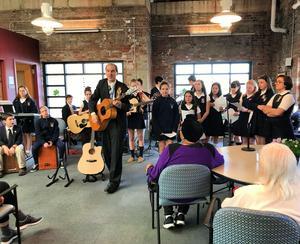 The talented student musicians and singers performed for members of River House, which is an adult day center that provides daytime services to aging adults who may be cognitively or physically impaired while giving a day of respite to their caregivers.